A team formed by the Home Ministry to look into the 33kg gold smuggling case presented a 752 page report to the prime minister on Wednesday evening. 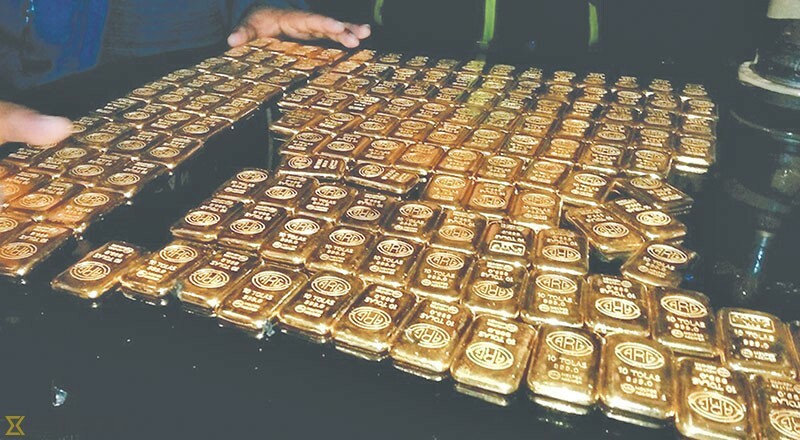 The team led by Ishwor Poudel, then joint-secretary at the ministry, was tasked with studying the racket smuggling gold through the Tribhuvan International Airport. The 33 kg gold mysteriously disappeared from Anamnagar, Kathmandu, last year. The team also probed the murder of Sanam Shakya, a major aide to Chudameni Upreti aka Gore, the suspected mastermind of smuggling racket. The team formed on April 13 had a 45-day tenure, which was extended till June 14 after the arrest of kingpin Gore in Kathmandu on May 22. It was given a mandate until July 16 considering the momentum the investigation had gained. According to the report, the gold smuggled using the TIA reached different Saarc countries, mainly India. Gore is believed to have smuggled 3,999.6kg gold over the last three years. The number of people charged with gold smuggling and Shakya’s murder has increased to 75. Forty-five of them have been arrested and presented to the District Court while the search of others is said to have been intensified. According to Senior Superintendent of Police Basanta Lama, a member of the probe team, a red-corner notice has been generated against many of the accused since they might be hiding abroad. The report suspects the involvement of 293 people in the racket. Many of them are known by code names and lack proper addresses. Former Nepal Police DIG Govinda Prasad Niraula, sub-inspector Gajendra Rawal of the Metropolitan Police Crime Division, businessmen Bimal Poddar and Akbar Shah are among those nabbed by the team. The report points to businessman Mohan Agrawal as the major investor of the smuggled gold. Police searched the residence of Agrawal on June 8 and found various materials corroborating his involvement in the crime. The special team also sealed many Bajeko Sekuwa eateries in Kathmandu Valley and the branches of RK Jewellers at Durbarmarg and New Road following revelation of their owners’ involvement in gold smuggling. The 33kg gold has yet to be found.